I’ve heard people get banned from Xbox Live for many reasons. Some are deserved, while others were either very minor or not a legitimate reason. 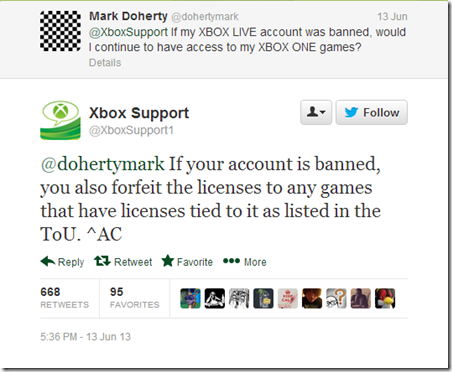 But, to ban a user and remove access to all the games that he/she had tied to their account? Bad move. One in many that Microsoft has made lately. Alienating your users, even those that deserve a ban? Next post: Xbox One only works in certain US States?